An update of the well-loved course for young learners - now fully in line with the revised Cambridge English: Young Learners tests. The fun course for seriously good results! This seven-level course delights children and inspires teachers with its bright ideas. Perfect for general use Kid's Box Second edition is now updated with new vocabulary and activities so that it fully covers the syllabus of the revised Cambridge English: Young Learners tests. Presentation Plus includes interactive whiteboard tools, a fully interactive Pupil's and Activity Books, teacher's resources, a multimedia library and access to online teacher training support. This DVD-ROM version is also available as an iOS or Android application for tablets. 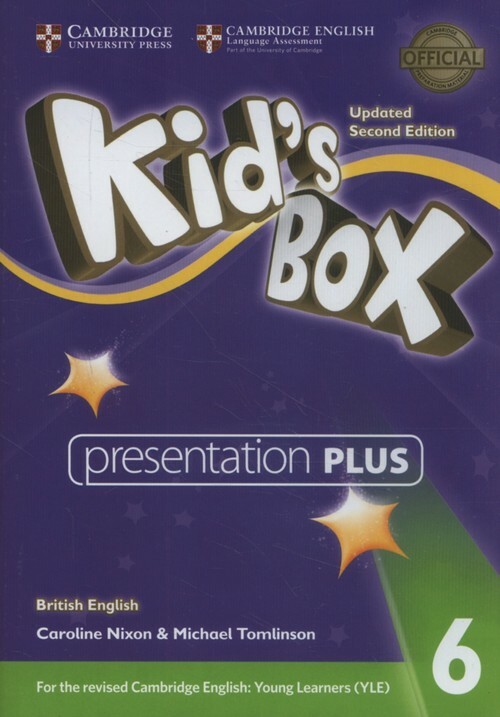 Książka "Kid's Box Level 6 Presentation Plus DVD-ROM British English"